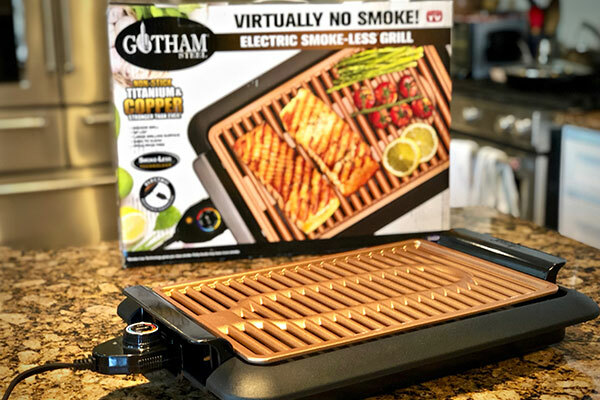 The expedition this week into indoor electric grilling continues with the Gotham Steel Indoor Electric Grill. 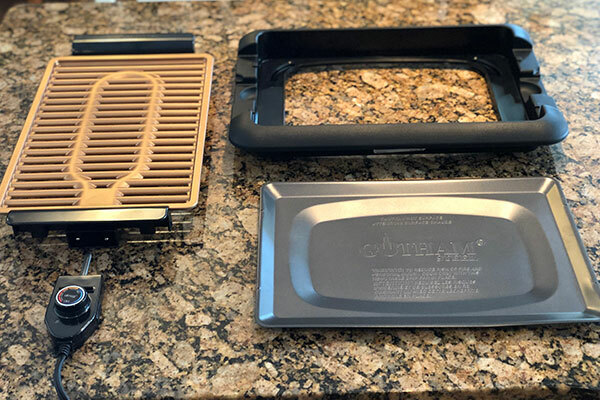 The Gotham Steel grill has a heating element that is embedded into the cooking grate similar to the Zojirushi grill we recently reviewed. We expect a similar level of performance with this grill and hopefully more based on some of the features touted with this product. Let’s dive in for a closer look. 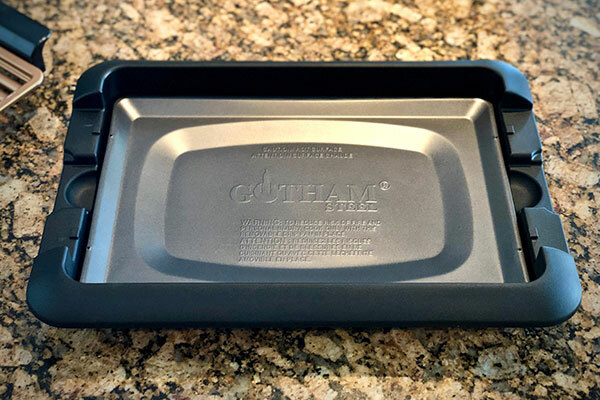 The Gotham Steel grill comes in 4 pieces and assembles in under 5 minutes. 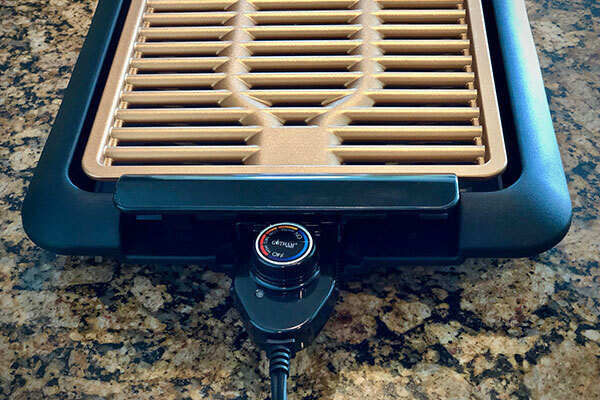 Much like the Zojirushi grill, it has a non-stick cooking grate, a plug with integrated temperature controller, a metal drip pan, and a plastic base. 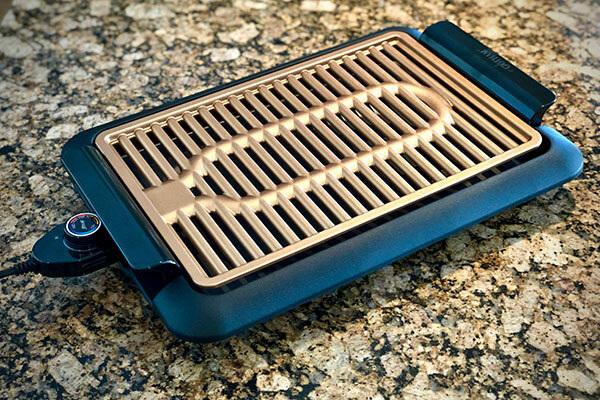 This particular grill features a non-stick titanium and copper cooking surface that the manufacturer claims to be PTFE, PFOA, and PFOS free. A nice feature of the plastic base is a recess on both sides of the base, so the cooking grate can face either way and you can still plug it in. The marketed features say, “dishwasher safe”. While this claim is true for the plastic base and drip pan, the manual clearly states that the cooking surface is not to be submerged in water or put in the dishwasher, so this claim seems a little deceiving. This particular unit mentions the ability to add a cup of water to the drip pan to help avoid smoke, so we did just that. We proceeded by turning the grill on high for a 5 minute preheat as recommended by the product manual. While the grate was heating, we observed the heat was not spreading evenly and heated seemingly slower than prior grills we’ve reviewed. We can only assume this grill heats slower due to lower wattage. 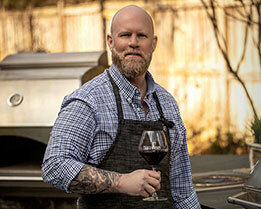 The wattage was only verified once we located the ratings label under the lip of the base on the side of the grill. After searching the product manual, the manufacturer web site, and some online retailers, we were left wondering what the manufacturer specifications were. When we added proteins and vegetables to the cooking surface, we met with a weak sizzling sound. This was unexpected since this grill has the heating element embedded into the cooking surface like the Zojirushi grill. We also found that the temperature recovery of the grilling surface when adding or flipping foods left a lot to be desired with large temperature swings between heating element cycles. 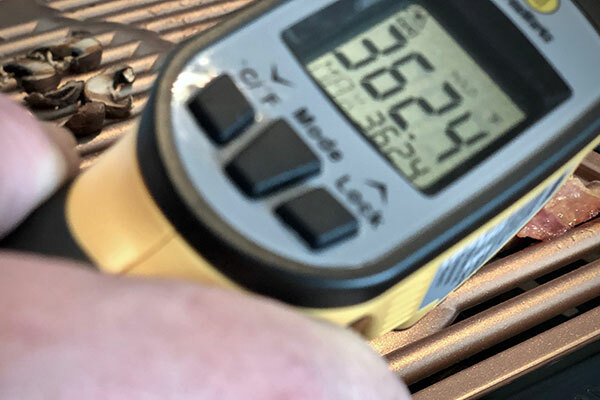 While we used our infrared thermometer to measure the grill reached average temperatures of up to 420ºF with no food, adding the proteins dropped the temperature significantly. It also took longer to achieve internal finish temperatures for proteins than we expected. 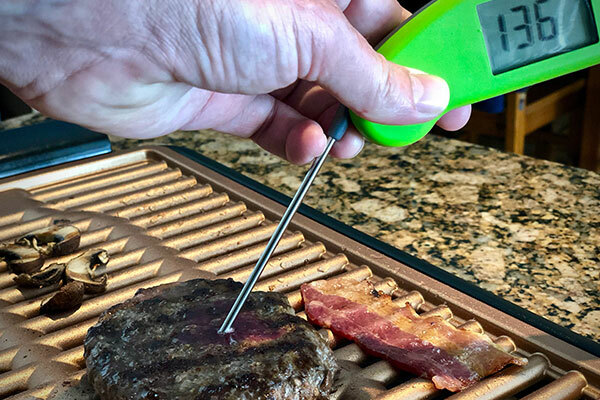 In the end, the proteins were still juicy and cooked to the desired temperature, but lacked the pleasing flavor and sear we observed from prior grills we’ve reviewed to date. Heat Range: Not specified by manufacturer. *Specs not available on manufacturer web site. The non-stick properties of cooking grate and drip pan performed as expected and provided easy cleanup. The recesses in both ends of the base allowed you to plug the temperature controller in from either side of the base, depending on the orientation of the cooking grate in the base. The full-color recipe book was also a nice touch. The 1000W heating element and the wide temperature swings heating element with this unit were underwhelming to be sure. We were surprised that the extra 125-300W provided by other grills reviewed to date really made that big of a difference. The grills without integrated heating elements with 1125W heating elements performed better than this unit. A higher wattage burner and a tighter temperature range controller might overcome the issues we observed. While this grill has many of the same features as the prior electric units we reviewed, it lacks power. If you don’t require searing temperatures and prefer to cook slower, this grill might be for you. The highest average temperature we could maintain with no food on the grill hovered around 420ºF. Adding food dropped the temperature significantly enough to cook slower than we expected and produced a weak sear. At this price point you can achieve better performance from a similar-priced grill—or even a lower priced grill in our experience. Foods finished on this appliance lacked decent sear marks, texture, and flavors we crave from any indoor or outdoor grilling experience. The lack of specifications, nebulous marketing hype, and lackluster food flavor produced by cooking on this grill left us wanting and expecting more based on the price of this appliance. In the end, this isn’t one we would recommend.